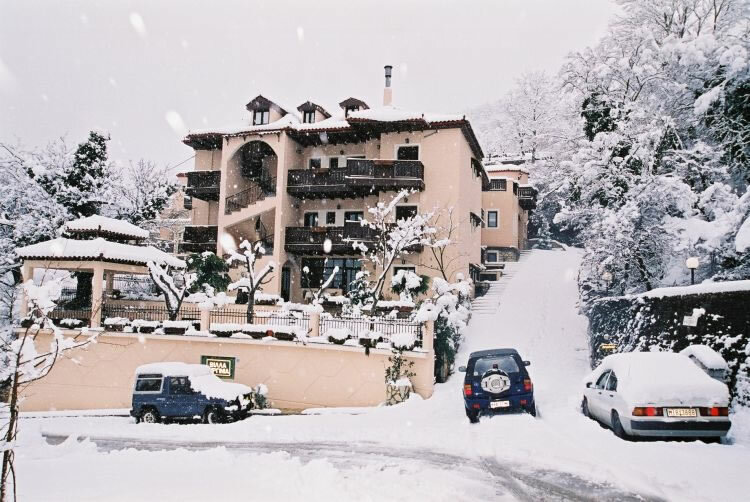 In one of the most famous winter destination areas in Greece, the enchanting area of Karpenisi, surrounded by fir-tree forests and untamed nature you can find the Villa Virginia hotel complex. The beautiful village of Voutyro, lying 7 km SW of Karpenisi, is of special importance for the area, as it has been named by UNESCO among the 5 areas of the world with the most clean environment. 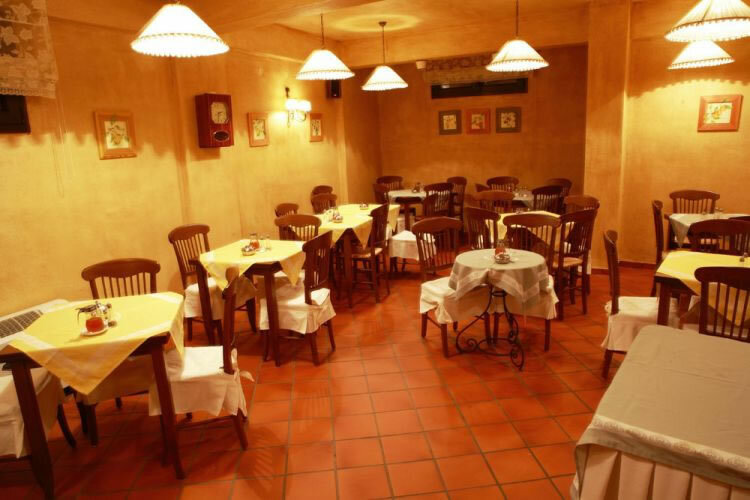 In this location the 3-stars hotel "Villa Virginia" will pleasantly surprise you. 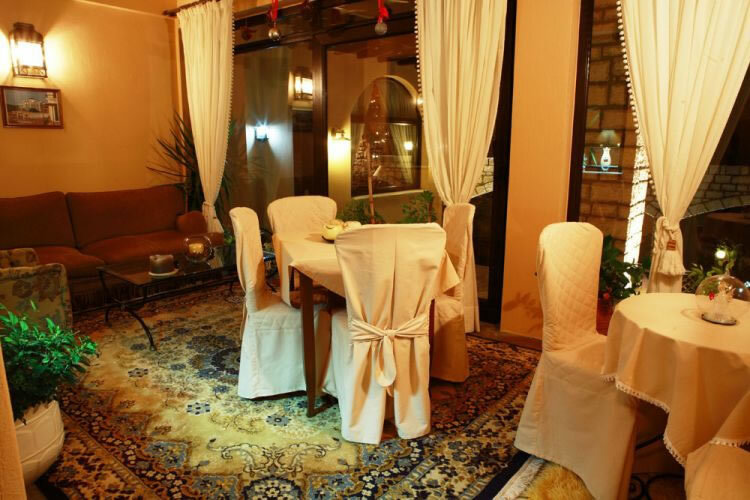 Here you can enjoy special moments, with all modern amenities and in a uniquely warm atmosphere, created by warm colour tones, classical style furniture and a decoration with carefully selected items. A look at the panoramic view out your room window will be the best way to begin your day, until you taste the delicious home-made breakfast (with piping hot bread, cookies, various types of jam and omelette). 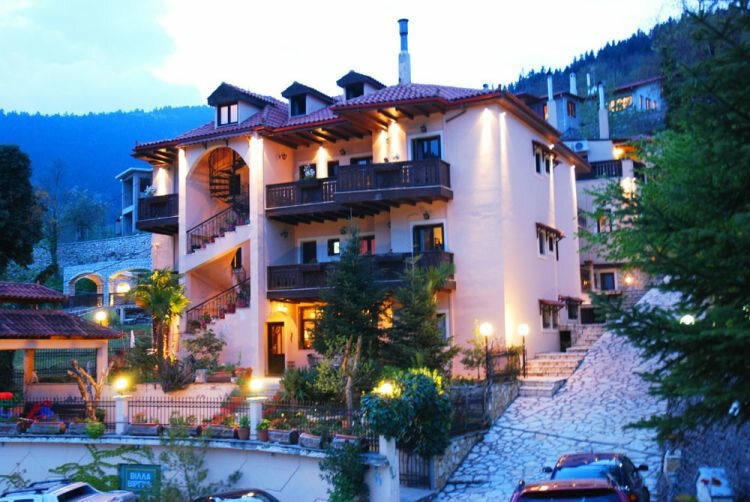 "Villa Virginia" hotel offers accommodation in double rooms and suites. 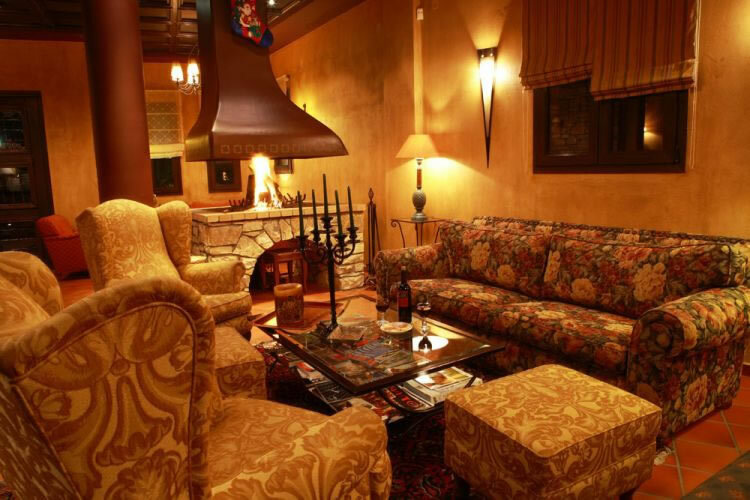 Fireplaces are included in many rooms and one suite features a personal hydro-massage facility. The suites can accommodate up to 4 guests each. 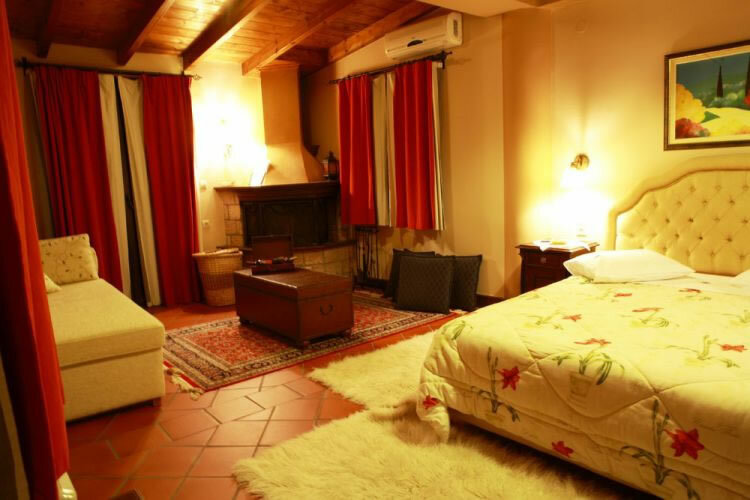 All the rooms of the hotel are furnished with King-size beds with warm quilts, and feature autonomous heating, DVD player, satellite TV, and telephone. In the bathroom you can find cosmetic items, bathrobes and slippers.